Today is a new day… it’s amazing what a good night of rest can do for the spirit. Everyone in the family woke up this morning feeling much more able to handle things. My blog of yesterday was negative. It was also short. Basically if I had written about everything that had gone wrong in the past 48 hours it would have been 12 pages long…. it was about much more than just hot water. Its amazing how one can just get hit over the head multiple times with bad things and still go on, but we are human and we can get pretty down just like everyone else when things become too much. Yesterday we felt weary and worn down though. It really took a lot out of us. Basically it was a disastrous beginning. Today, I am saying was the official beginning! And what a beginning it was. 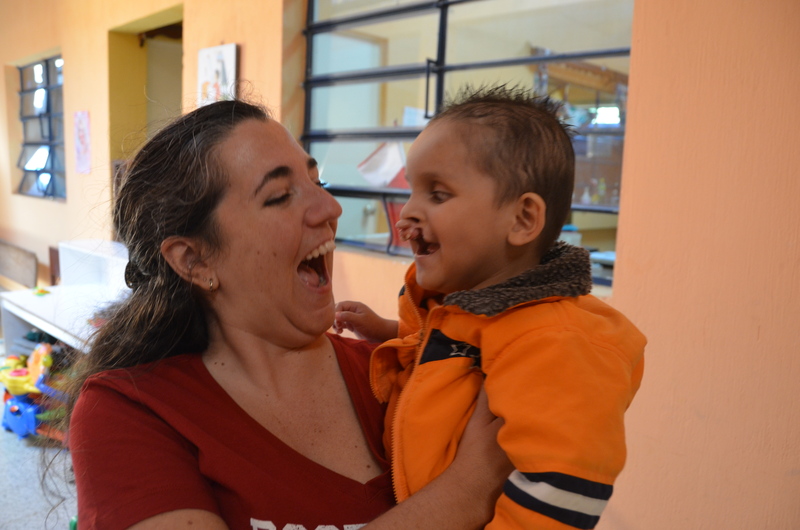 Early this morning we were off to the Hospital Infantil Padre Pedro for a Christmas party. 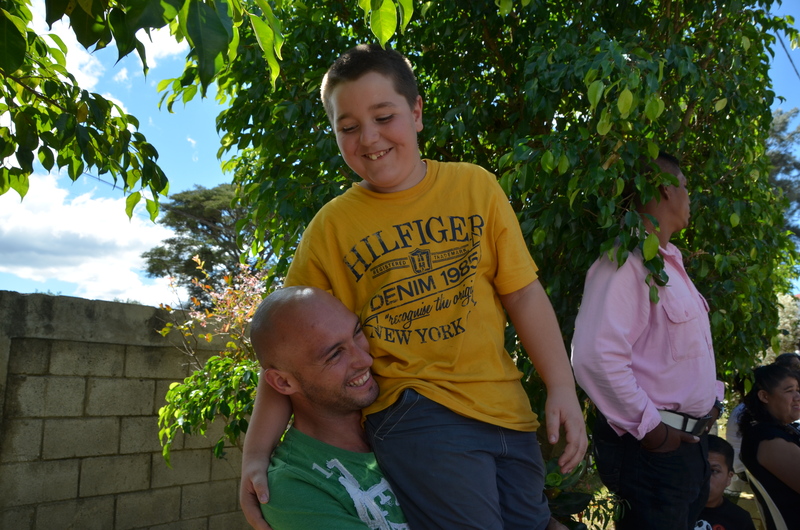 It was a ‘family reunion’ with all the children that had previously been rehabilitated at the hospital invited. We were shocked by the sheer number of people in attendance. Tears rose to my eyes as I saw Hermana Mercedes for the first time in almost a year. She was surrounded by the happy faces of the little children that are now alive because she took it upon herself to follow the will of God and serve here. Her and I shared a hug that had so much meaning behind it even though our spanish/english communication is still in its infancy. There are some moments that are just beyond words….. Heading into the nursery for the first time in almost a year was unreal. Seeing all the children in their beds trying so desperately to get healthy breaks your heart. Around the corner in his special room was Marquito…. That boy is so incredibly special…. 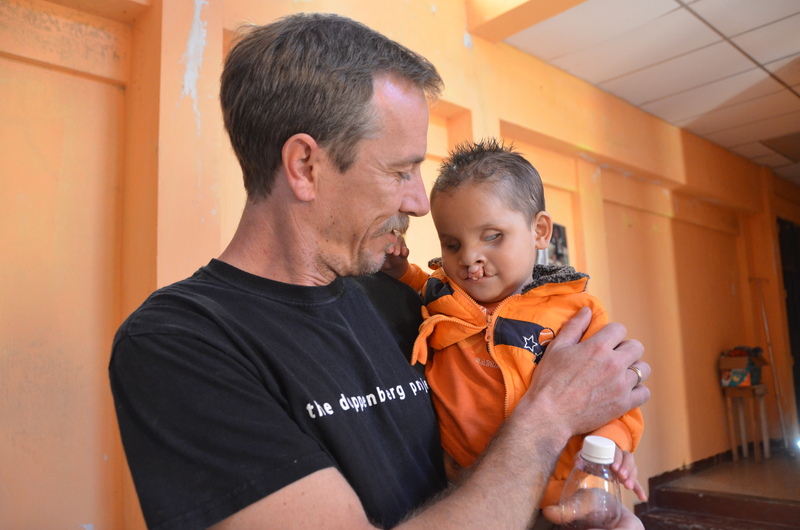 Rachel has worked so hard for this boy and on December 15th he will have the first surgery to reconstruct his face. It hit me as I held him and then again as Geoff was holding him and Marquito was laughing that without people like Rachel that precious boy would most likely have died. God put him on her heart and she did everything in her power to help him… and help him she did. I saw the proof with my own eyes… and heard his laughter with my own ears…. Amazing! 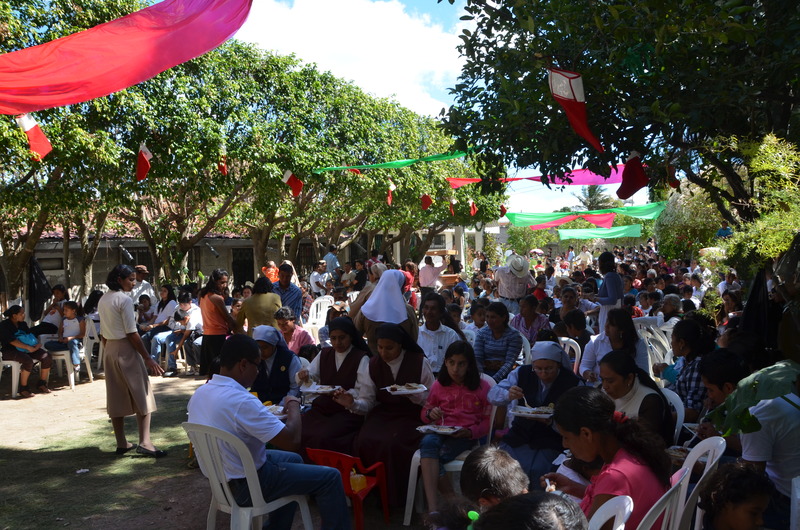 After visiting the children, we shared lunch with the Monsignor of Guatemala, some other guests and Hermana Mercedes… The sisters prepared a very special lunch for their guests. They treat us like royalty here and we do not like it. We are here to serve them and yet they serve us so completely. It is so humbling…. It truly is about relationships here… and we have a family here, more so than we had ever realized before. That is a gift straight from God. No matter what life throws at us here… we are ready for it. This is why we are here… and nothing, not even no water (today we not only have no hot water but no water at all) will ever get in the way of what God has us here to do! And on behalf of our family, we would like to thank everyone who is helping us financially… personally… prayerfully… etc. Without you beside us, none of this would be happening. We promise to stick it out and make the best of every moment and also be thankful for the privilege of getting to serve these wonderful people! 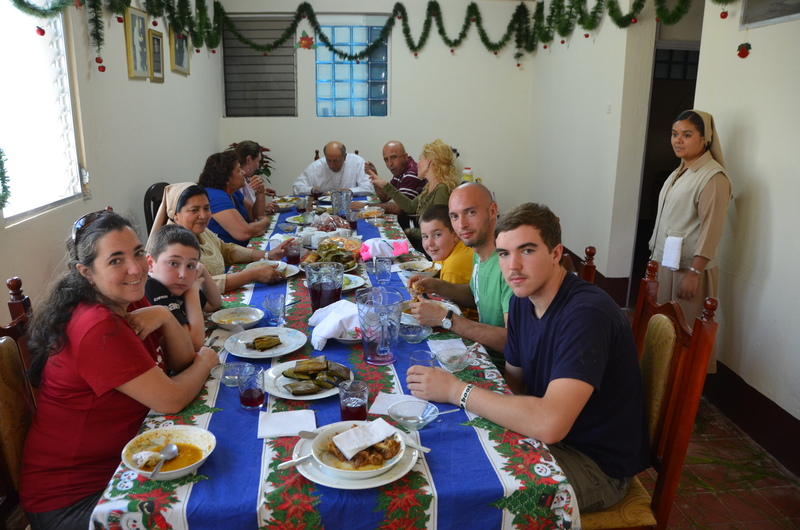 Posted on December 9, 2011, in Guatemala Missionary, Uncategorized and tagged celebrate life, Guatemala, Malnutrition, mission, Missionary, Volunteers, World Impact, Youth. Bookmark the permalink. 4 Comments. I was very happy about this blog post, until I saw Zack’s mustache. I’m so excited to be following your journey. Your posts will be part of my day, reminding me to pray for you and your families mission. But specifically Rita, I’m praying for you. As a mom, as a wife, and as a woman after Gods heart, you inspire so many. Praying God’s hand is over you. This overwhelms me! I’m so glad about Marquito! You should have seen Rachel’s face when she saw his picture! She started yelling and crying and was just so happy to see that he’s doing so well and is going for surgery on Thursday. This shows how powerful and amazing both you and God are and how we CAN make a huge change! Thank you for sharing and remember, your forever in my prayers.